Colour coded doneness indicator. 2 fixed adjustable cooking settings (110°C/119°C). One-hand cooking level control for easy operation. Removable lid handle for simple and easy cleaning. Maintenance-free valve system. WMF Perfect is the classic amongst pressure cookers.  It has been an integral part of the WMF range for many years now – and not without reason. Its classic design is timeless, its functionality state of the art. Like all other WMF pressure cookers, it is made of Cromargan, making it rust-free, easy-care and indestructible. Its large cooking indicator enables easy operation, its inside scale precise filling and its detachable handle easy cleaning. And as if that weren’t enough: thanks to its TransTherm universal base, the WMF Perfect is suitable for use on all types of hob, including induction. Pressure cookers in the WMF Perfect series are available in five different sizes and sets of two.